It has the ability to push you to the top of your industry in a natural, organic way by publishing your unique content on relevant blogs. While there are many sites out there that help both parties find guest post opportunities right now, they all require logging in to an external site and going back and forth with an individual publisher/writer until an agreement is made. 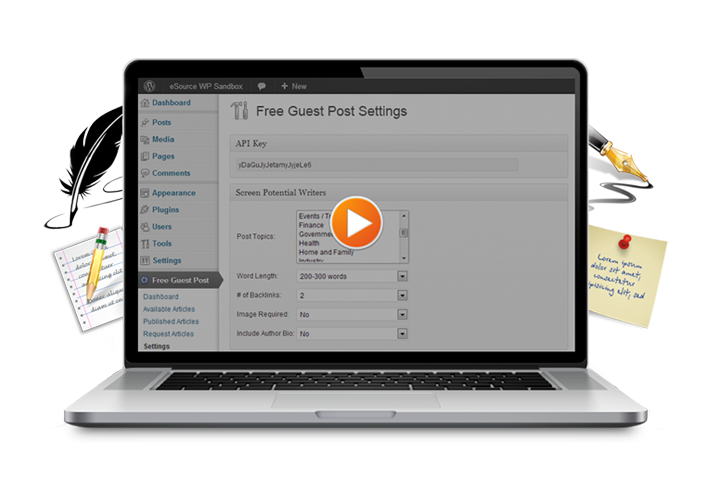 Our Free Guest Post plugin will virtually eliminate the searching for both the writers and the publishers. 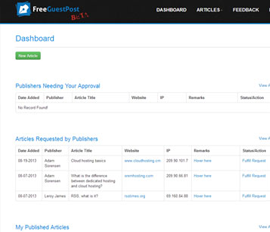 Writers can submit content onFreeGuestPost.com, and based on topic, tags etc., it’ll show up in all relevant publisher’s sites as a potential post. 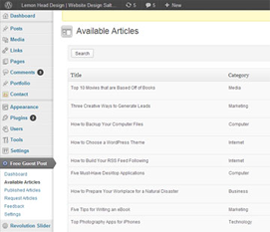 Publishers that download theplugin will then have relevant content show up directly in their WordPress control panel, and can screen, request, and publish directly from the plugin. Best of all? It’s completely free. No cost to the writer or the publisher, and no promotional ads from us. Just writers and bloggers coming togetheron a writing platform. In addition, every article submitted is certified original by Copyscape – meaning every article you receive will be guaranteed unique. You’ll never have to worry about a writer trying to reuse articles with multiple websites, helping your site be as fresh and high-quality as possible. Free Guest Post strives to bring publishers and writers together in a more natural, organic way than ever seen before with other guest post services by building a system that eliminates searching entirely for both parties. 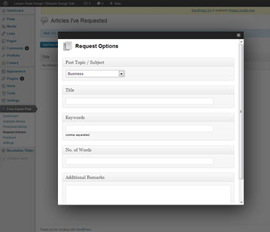 Relevant, Copyscape checked, pre-formatted posts show up directly in your WordPress control panel. Publishers can specify metrics to screen potential writers. A list of post ideas continually updated by publishers, creating content ideas and new opportunities for writers. Writers can track the publisher, IP and URL of all posted articles.